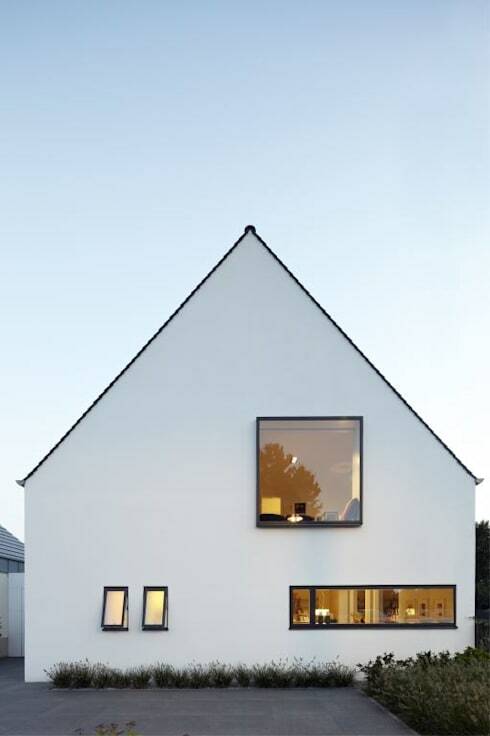 A minimalist white house you'll want to live in! While we are huge fans of bold color, sometimes it's nice to take a step back and admire how impactful white can be and that's exactly what we are going to do today! 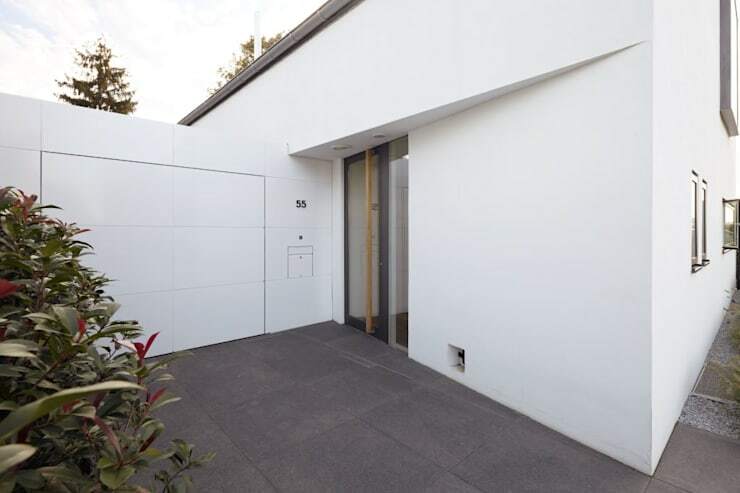 We've discovered a stunning minimalist white house that has been expertly designed and decorated to perfectly align with a pared back aesthetic that is timeless, chic and striking, all at the same time. Come with us now as we take a look around and see which aspect you like the most! This entrance is so deceptive, as you'll soon discover! A smooth and linear entrance, complete with slate tiles, tells you only one thing; that this house is going to be fantastically contemporary throughout! Wow! This side view really shows how pretty this home is, not to mention how tall! 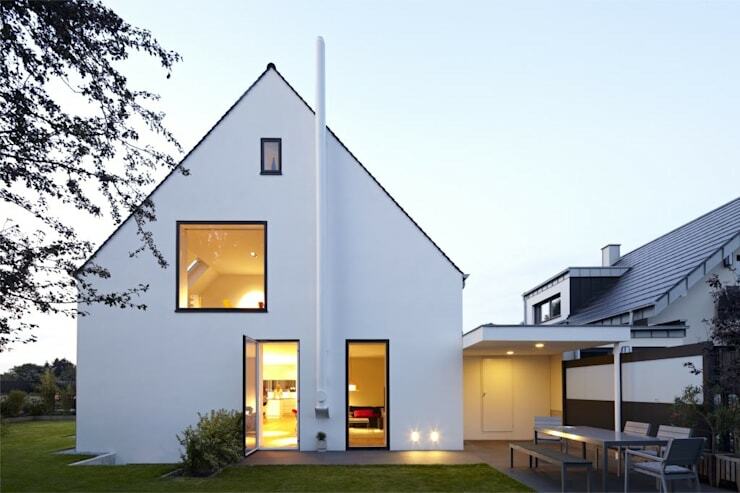 The architects that created this home spared no effort in a bid to craft a wonderful white haven, as even the flue has been finished in bright white! Love that huge picture window as well! You know you've hit upon a beautiful building when just the side profiles are enough to make you want to dive inside to discover more! The large windows on every side here are really drawing us inside, how about you? This terrace is charming! What a great addition to an otherwise simple rear garden, that ties together the only real accent color! 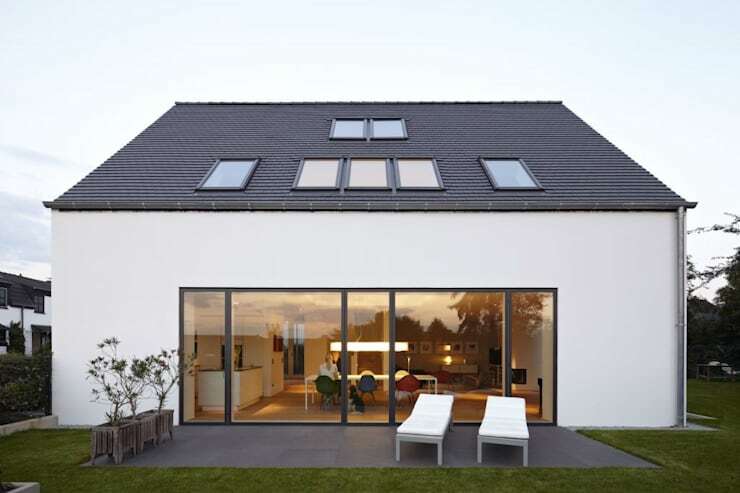 The terrace matches the roof perfectly, as well as the entrance and those sliding windows are a triumph! We bet they are a godsend in summer! As we walk inside, we get to see just how impactful those sliding windows are, on the interior! 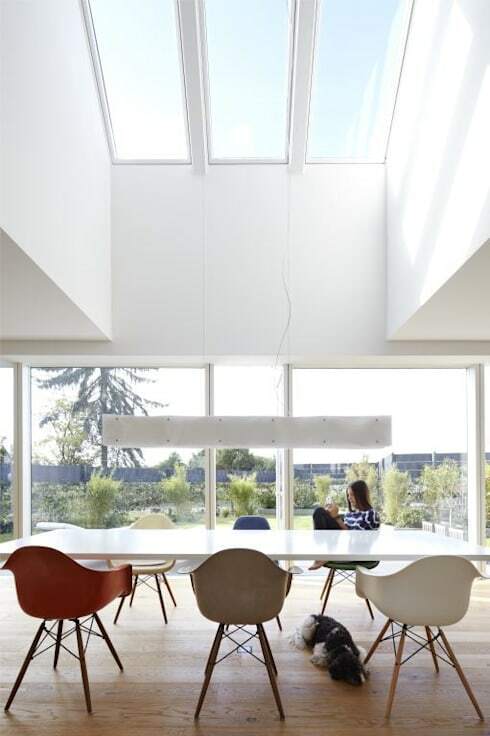 Offering gorgeous garden views from the family dining table, they bring in so much light as well, as do the skylights! 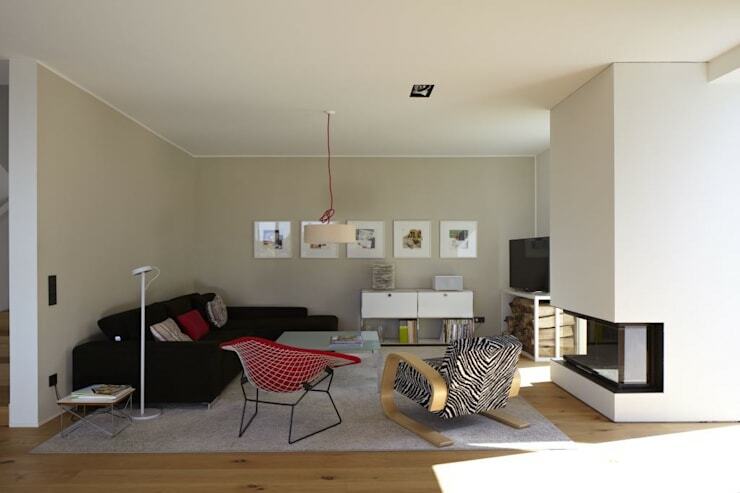 The open design here is just staggering and maximises the room in an otherwise fairly bijou home. This is the only space in the whole home that seems to fly in the face of the minimal aesthetic and we love it! Making the living room that bit more snug and cozy is such a great way to add in luxury and comfort and by choosing some cool Danish-style furniture, there is still a nod to the simplicity that rules everywhere else. Bathrooms don't set everyone's heart on fire, but this one IS exciting us! 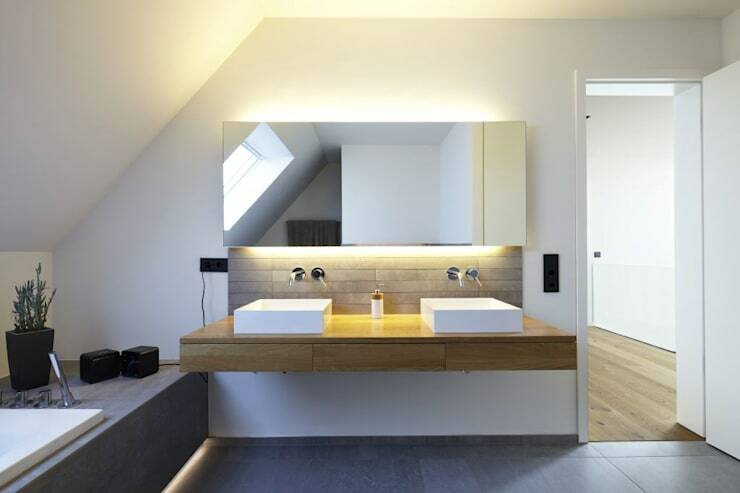 So simple, chic and stylish, it really makes the bathroom as fashionable and cool as all the communal areas. We really like the way that the slate tiles have migrated in here, as they make for such a cohesive house, inside and out. For more stylish family home inspiration, take a look at this Ideabook: A Family Home Hidden in the Hills. Would you love to live in a house like this one?